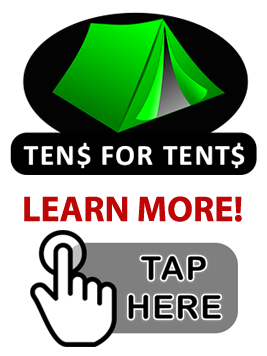 TAFY helps homeless people without questions and without commitments. However, we embrace a goal of ending homelessness for as many as we can. We work to help them learn to live as independently as they can. Miracles in action at TAFY! TAFY has taught me what 'UNCONDITIONAL LOVE' is. TAFY taught me how to pass it on to others. No matter what a person looks like or does, they have a story behind them and TAFY has helped me to be more open to people whom I would normally judge without reason. TAFY helps me to see things differently. TAFY fed me when I had nothing to give and nowhere to go. TAFY has shown me that there really are people out there who really care. Even when you feel the smallest, they are always there. TAFY provides diapers, wipes, formula, and clothing for my baby. TAFY loved me unconditionally, no matter where I was in life. TAFY has made me grow and learn that there is a better life waiting out there, it is up to you to find that good life but without TAFY it wasn't possible for me. TAFY helps my nieces, my dog, my friends, and I always leave there smiling. Inspired me, help me open my eyes, help me develop a deeper love for fellow man. Let me shower and gave me a toothbrush and personal items. TAFY gives a place to relax because when your homeless there is no relaxation - none. Food because people need to eat, clothes to wear (feels nice to have dry socks and clean underwear). They help you when you ask for help. TAFY has helped me with eye glasses, food, clothing, bus tickets, and first aid. The most important thing they gave me was support when I went to inpatient treatment. Like a family, they wrote me letters of inspiration while I was in and they were there for me when I got out. TAFY Rocks. Tap on any link below to read about some individuals and families that we have been able to help move beyond homelessness to independent living.